This 1995 Porsche 968 Club Sport is a rare car – just 179 right-hand drive UK examples were built, while the worldwide total was only 1923. 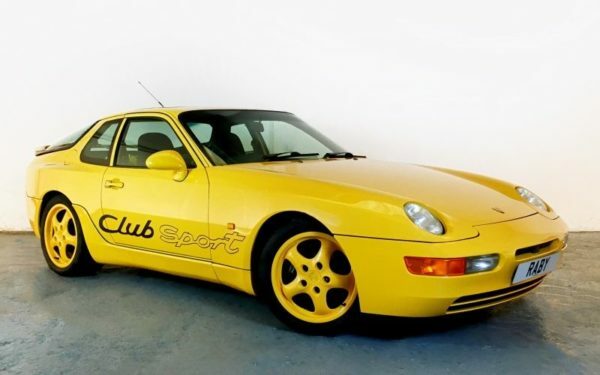 This example is finished in startling Speed Yellow with matching Cup wheels and contrasting ‘Club Sport’ side stripes. 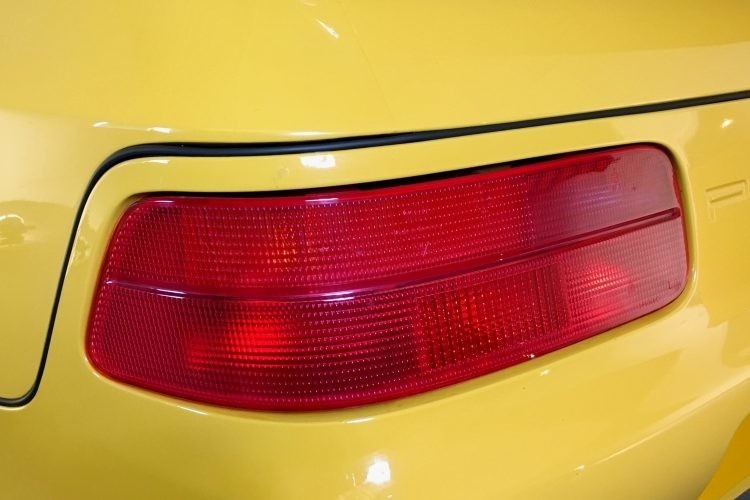 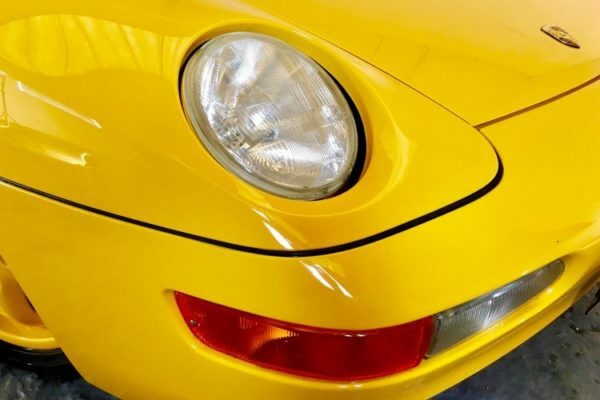 The Porsche was treated to a documented full glass-out respray in 2016, with many seals replaced, so is in fabulous condition. The Porsche is also in excellent mechanical fettle, too. 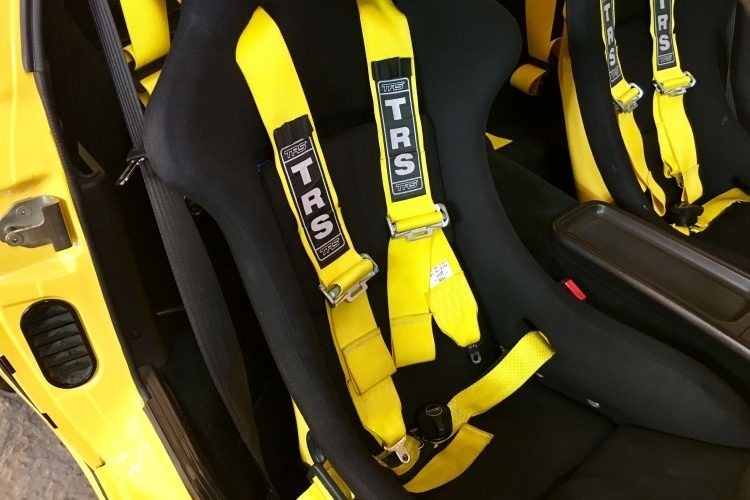 In 2016 the all-important belts, timing chain and water pump were renewed. 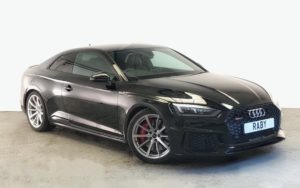 At the same time the head gasket and the oil seals at the front of engine were replaced, plus a new stainless steel exhaust system was installed. A year before this, the power steering pump was refurbished. The clutch has been replaced and a single-mass flywheel fitted (the original dual-mass item is included in the sale), plus the fuel lines are new. The suspension, as you’d expect from such a sports-focussed Porsche, has also received attention. 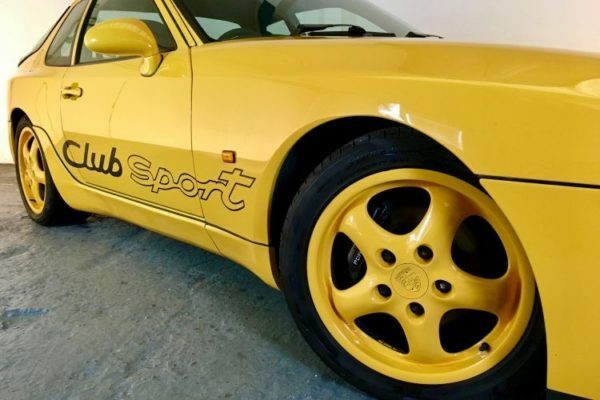 It has been sensibly updated with Koni adjustable dampers and H&R front springs (the originals are included with the car). 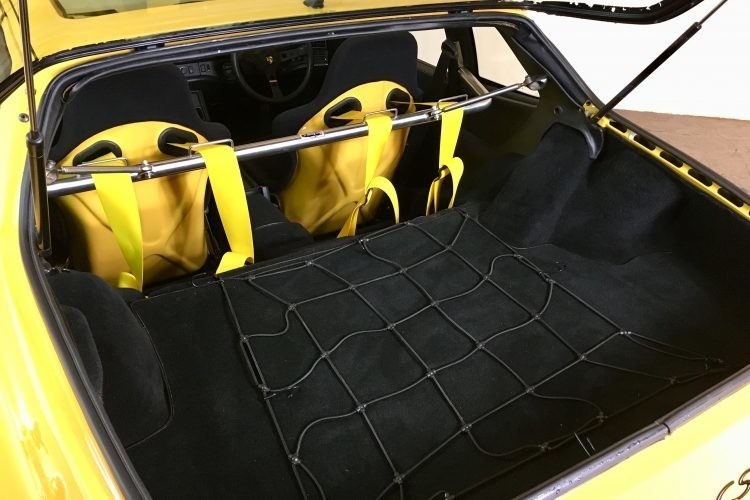 In addition, the front wishbones, bushes, balljoints, caster blocks and antiroll bar bushes have all been renewed, and then the geometry set-up properly to ensure optimal handling from this finely balanced sports car. 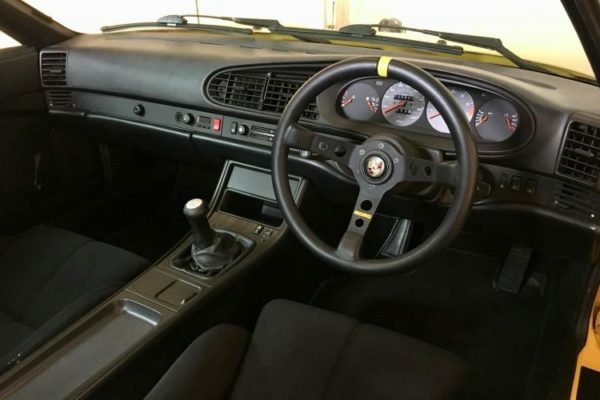 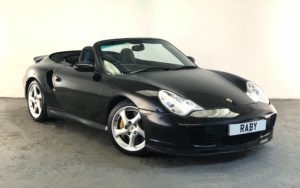 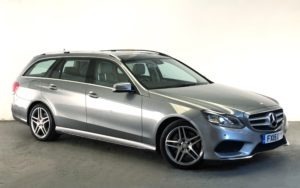 The interior is pure Club Sport, with the original Recaro bucket seats, manual window winders and no radio or rear seats. 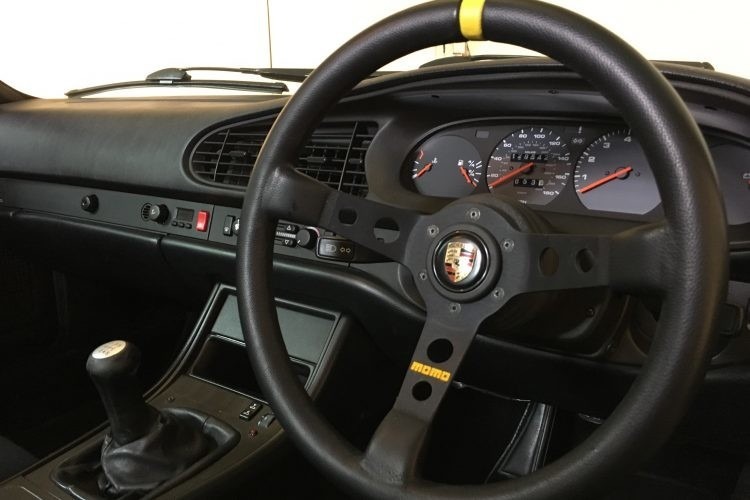 There is a lovely Momo 07 steering wheel (although this could be changed for the standard Club Sport wheel if desired). 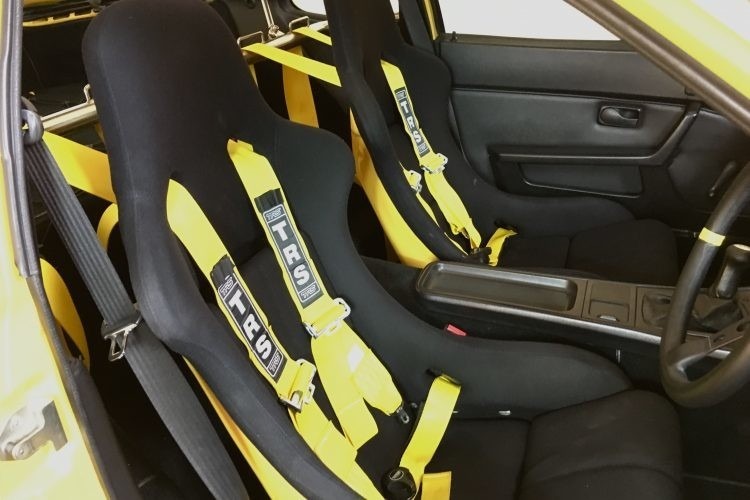 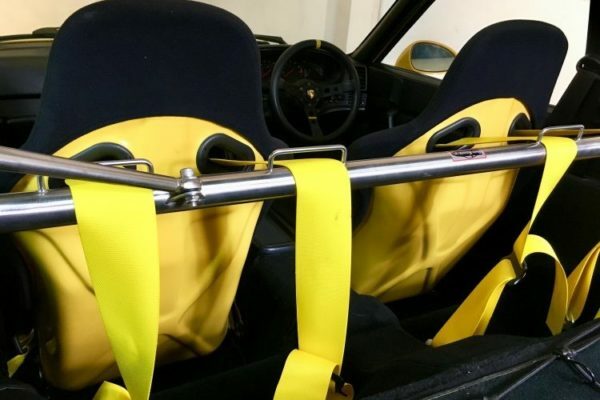 There is a beautifully engineered Brey Krause harness bar with yellow TRS harnesses, plus the original seatbelts are still intact. 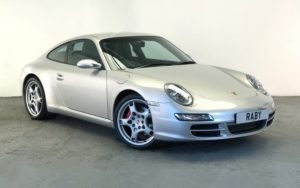 The Porsche comes with a well documented service history. 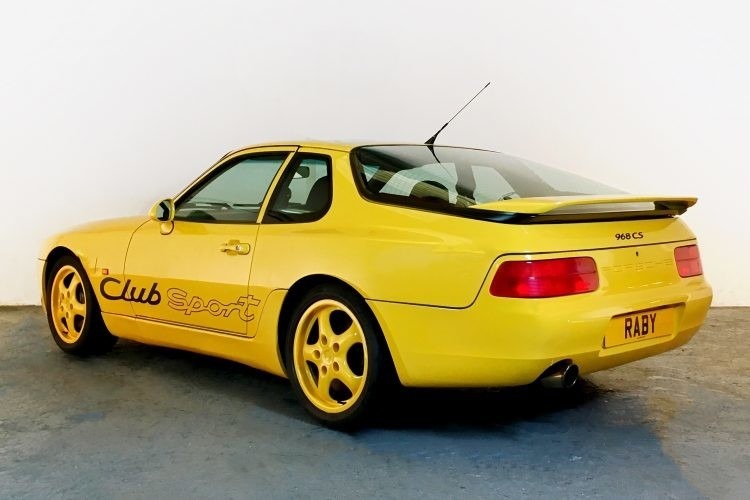 The 968 Club Sport is one of the best handling Porsches of all time, and is equally at home on road or track, while its rarity and desirability makes it a modern classic with great potential as an investment.